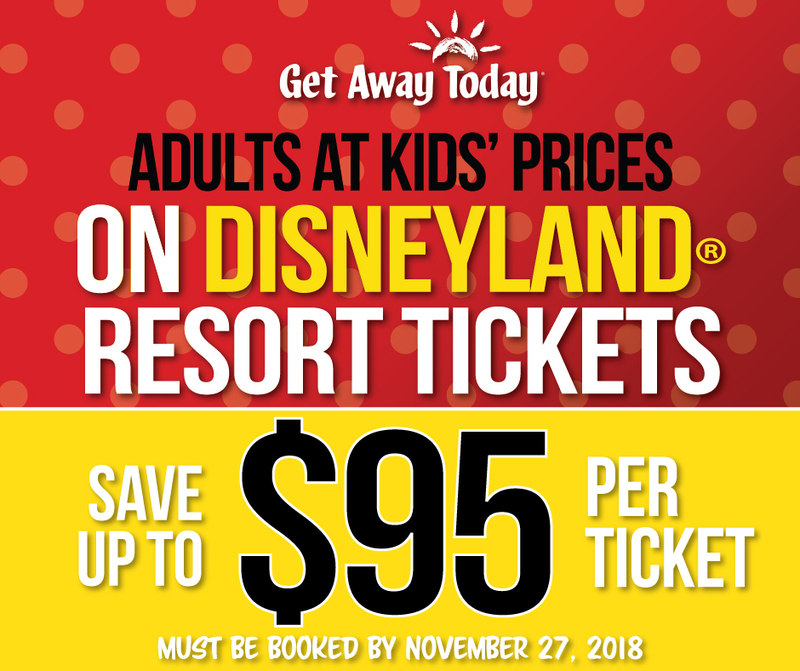 MousePlanet sponsor Get Away Today just announced their Black Friday sale, offering Adult Disneyland Resort Tickets at Kids prices for travel through 2019! Save on Disneyland Resort tickets for 2018 and 2019 travel. For the most savings, take advantage of the extra value days for spring travel. 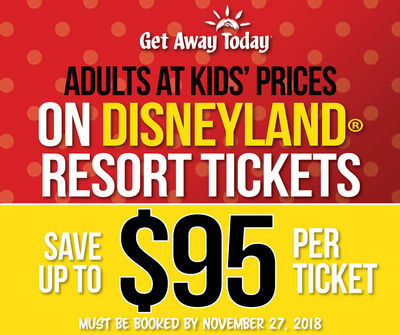 By combining the Adults at Kids' Prices Black Friday deal over the value spring travel dates, you can save up to $95 per ticket over annual pricing! That's almost an extra $500 savings for a family of five! We don't expect to see Disneyland prices this low ever again. *Savings vary per ticket and are calculated based on annual park pricing. Blockout dates April 14 - 22, 2019. Standard pricing with Adults at Kids' Prices $19 per tickets savings will apply for travel over these dates. Best of all, this limited-time offer has no residency requirement, so SoCal locals and out-of-state visitors alike can enjoy the same great discount. Purchase tickets online, or call 1-855-GET-AWAY to purchase tickets today.